YATS RESTAURANT and Wine Lounge is widely regarded as one of the finest wine sensitive restaurants in the Philippines. At this restaurant in Clark Pampanga, gourmet Mediterranean cuisine is carefully crafted and fine-tuned to pair well with fine wine. With over 2500 selections of vintage wines in its award-winning wine list which spans all major wine regions and covers a wide range of prices, this fine-dining restaurant is home to many wine-and-food-pairing dinners and wine tasting events that help to cultivate and enhance wine appreciation in the Philippines. Open every day for lunch through dinner, this is one of the restaurants in Pampanga that business executives, tourists and local residents prefer not only for special occasions but even for a nice and relaxing meal comprised of good food, excellent wine, fine service and great company. Birthday party package available at Yats Restaurant, one of the best places for birthday parties and other celebrations in Pampanga. Already regarded by Manila food lovers as a good restaurant in Clark Pampanga, many residents of Angeles City prefer to organize their functions and gatherings in this famous restaurant in Pampanga. Clark field offers limited dining options to visitors visiting Pampanga for holiday, golf or business investment. But the best restaurants in Pampanga can be found inside Clark airbase where the finest places to wine and dine are located. Every Christmas, visitors from Manila travel out of town to the north to wine and dine at the best restaurant in Clark Pampanga called Yats. Here at this fine dining restaurant in Angeles City Pampanga, many Christmas and New Year parties are held for guests coming from Subic, Angeles City, Pampanga, Manila and Clark Philippines. This is a good restaurant in Pampanga for all sorts of celebrations, as well as a good venue for meetings outside of Manila and social gatherings for residents of Manila and Clark Philippines. Christmas parties and New Year's celebrations are being reserved at Yats, one the best restaurants in Pampanga for group dinners, parties, functions and events in Angeles City, Clark, Pampanga. Visitors from Manila celebrating Christmas and New Year out of town, looking for a good place to eat in Pampanga, highly recommend Yats Restaurant as the best resto bar in Angeles City and Clark Philippines to wine and dine. Residents of Subic and Angeles City regard Yats as a good restaurant in Pampanga to enjoy good food with friends. Some event organizers laud this famous restaurant in Clark Philippines as a good party venue as well as a good place for business meetings also. New way to celebrate Christmas and New Year in Philippines, enjoy a party at a good restaurant in Pampanga with a unique regional wine dinner only available at this restaurant in Clark Philippines. Regional wine dinners are an invention of Yats which is generally regarded as the best restaurant in Angeles City Pampanga. Located inside Mimosa Leisure Estate which is a popular tourist destination in the Philippines, Yats caters not only to the elite and the business executives but also to food and wine lovers traveling from Manila to Pampanga to enjoy a special treat in the best restaurant in Clark Pampanga. Noted by tourists and residents of Subic and Angeles City Pampanga is the fact that Yats Restaurant offers the best restaurant wine list in the Philippines. Dining at this top rated restaurant in Angeles City Clark Philippines is a special treat for wine lovers from Manila and other cities in Asia. Already well known for being a good place to eat in Pampanga, Yats Restaurant and Wine Bar is also highly recommended by tourists and residents of Angeles City as the best restaurant to enjoy a special dinner or to celebrate special occasions. Best place to spend Christmas and New Year in Manila is to wine and dine at the best restaurant in Angeles City Pampanga called Yats Restaurant and Wine Bar. Many visitors from Manila are tired of the same old Christmas dinners and New Year celebration in even the good restaurants in Pampanga. This year, many guests of the best restaurants in Manila, Subic, Angeles City and Clark Pampanga are looking for something new, more exciting. Yats Restaurant is one of the good restaurants in Pampanga to respond by rolling out special regional wine dinners to the delight of food and wine lovers from Manila and Pampanga looking for a good place to celebrate Christmas or to hold a New Year's Eve party in Angeles City and Clark Philippines. party is already half way to being a great success. Clark airbase, also known as Clark field and Clark Freeport Zone is a popular destination for residents of Manila, Angeles City and Subic to wine and dine or just to eat out with family and friends. Restaurants at Clark Philippines offer some of the finest food, dining facilities and wine lists in the Philippines. Best place to hold Christmas party and celebrate New Year in Pampanga is Yats Restaurant and Wine Bar, well known as the best restaurant in Clark Philippines. Residents of Manila and Angeles City Philippines look for an exclusive restaurant to hold group dinners to celebrate Christmas and New Years in Pampanga. Highly recommended place for Christmas celebration is Yats, well known as the best restaurant in Angeles City and Clark Pampanga. This fine dining restaurant in Clark Pampanga offers some of the best private dining rooms among the best restaurants in Angeles City and Manila Philippines. Manila residents, companies and schools travel out of town to the north to hold Christmas parties, organize group dinners to celebrate New Year or enjoy the holidays at the end of this year in Pampanga. Many event organizers highly recommend Yats as the best restaurant in Clark Pampanga for celebrations and parties this holiday seasons. Special Christmas parties can be accommodated in this fine dining restaurant either indoor or alfresco in the garden of this famous restaurant in Pampanga. Although restaurants and bars in Angeles City Pampanga can also be considered for Christmas and New Year celebrations, visitors from Manila and tourists prefer to wine and dine in the best restaurant in Clark Pampanga where they can feel safe and secure. Clark field, also known as Clark airbase and Clark Freeport Zone has one of the lowest crime rates of all cities in the Philippines. Pollution and noise levels are also low in Clark field and this makes Clark airbase a popular place for families, business travelers and those coming to Pampanga for holidays and vacations to relax and unwind at the best restaurants at Clark Philippines for a nice meal with some fine wine. Things to do in Clark Pampanga - buy a bottle of wine from Clark Wine Center and enjoy a special BYOB dinner at the best restaurant in Clark Pampanga, no corkage charge. Tourists visiting Clark Philippines this summer laud Yats Restaurant and Wine Bar as the best place to eat in Pampanga. Best BYOB restaurant in Manila, Angeles City, Subic, Pampanga and Clark Philippines is Yats Restaurant and Wine Bar, well known among wine lovers as the best place to eat in Pampanga. This liberal wine corkage policy makes Yats Restaurant and Wine Bar which is already famous for offering the best restaurant wine list in the Philippines, one of the best places to eat for wine lovers in Manila, Subic, Angeles City and Clark Pampanga. Food and Wine Lovers of Manila, Tarlac, Subic, Pampanga Angeles City and Clark Philippines gather at the best restaurant in Clark Pampanga to wine and dine on B Y O B night during which guests are invited to bring their own bottle of wine and no corkage is charged. Some guests opt to buy wine at the famous wine shop in Pampanga, Clark Wine Center to bring to dinner at this fine dining Restaurant in Angeles City, Clark Pampanga. Although BYOB is not invented here in this top rated restaurant in Pampanga but Yats Restaurant is already well known for paying special attention to wines and wine lovers. Restaurants at Clark Philippines are renowned for their quality of food, service and ambience. BYOB which stands for Bring Your Own Bottle, refers to a special treat that the best restaurant in Clark Pampanga offer to their valued customers to bring their own wines when dining at this top rated restaurant. Normally corkage fee ranging from p500 to p1500 per bottle is charged but on BYOB evenings which usually take place on Saturdays at this famous restaurant near Angeles City Pampanga, corkage charges are waived. Wine and food lovers from Manila, Tarlac, Subic, Pampanga Angeles City frequently take advantage of this special offer to dine at this restaurant in Clark Pampanga which is already well known not only for its award winning restaurant wine list but also its French Mediterranean cuisine that is always easy to enjoy and pair with fine vintage wine. This is just one of many reasons why Yats Restaurant and Wine Bar located in Clark Philippines is generally regarded as the best place to eat in Subic, Angeles city Pampanga and Clark. As wine become more and more popular in Manila, Subic, Pampanga Angeles City and Clark Philippines, guests are happy to hear of special BYOB evenings in the best restaurant in Clark Pampanga. Waiving corkage fee is only part of the treat for this special dinner. Yats Restaurant and Wine Bar prepares special wine-friendly menu for BYOB dinners. 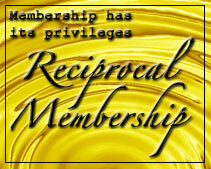 Guests can share their bottles with other guests or opt to dine in the privacy of their own individual tables. This is one of the most popular things to do in Clark Pampanga for visitors from Manila and residents of Angeles City, Subic and Tarlac. Here in Clark field which is also called Clark airbase in the past, residents invite their friends and visitors from Manila and abroad to dine at Yats Restaurants where everyone can enjoy a really fine meal with some fine wine. Yats Restaurant is also known among event coordinators and party organizers as the best place to hold Christmas parties in Pampanga. This restaurant in Clark is ideal also for New Year and Valentine’s celebrations also. Clark field is already a popular destination for celebration and special occasions. Clark airbase has a certain ambience and charm that offer a special kind of experience that visitors coming from Manila to Pampanga find memorable. Food lovers from Manila may remember Yats as the best restaurant in Pampanga to eat good steaks accompanied by fine vintage wines from Bordeaux, Burgundy, Rhone, Italy, Spain and all major wine regions of the world. Residents of Angeles City and Subic have long discovered that Yats is a great seafood restaurant in Pampanga. Food lovers from Subic, Tarlac and Pampanga travel to Clark Freeport to enjoy a good seafood dinner at Yats accompanied by some of the finest white wines in the world. Food and wine lovers of Manila and Angeles City gather in Pampanga to enjoy a sumptuous dinner at the best restaurant in Clark Pampanga featuring classic French cuisine, many order fine vintage wines from Yats Restaurant and Wine Lounge to pair with these delectable dishes, all in all, one of the best dinners they enjoy for a long time. This is one of the reasons many residents in Manila and Angeles City Pampanga frequently visit Clark Philippines so they can wine and wine at the best restaurant in Pampanga. Dinner at this fine dining restaurant near Manila is always a memorable experience for food and wine lovers coming to Clark for golf or business. Many frequent travelers remember a dinner at Yats Restaurant to be one of the things to do in Clark Pampanga. Yats is well known as the best place to eat in Angeles City, Subic, Clark and Pampanga, and a restaurant with nice ambience also. Tourists and travel guides laud Yats Restaurant and Wine Lounge as the best restaurant in Angeles City Pampanga, citing reasons such as best restaurant wine list in Pampanga, excellent service in the restaurant with knowledgeable waiters, an elegant ambience for fine dining, good food and exciting menu featuring food from major culinary regions of the world. Some find it surprising to find this level of fine dining in Clark airbase which is also known by frequent visitors as Clark field, Clark Freeport Zone or Clark air field also. Food and wine lovers in Manila laud Yats Restaurant as the best restaurant in Angeles City Pampanga, a special restaurant that offers guests a real treat every time they wine and dine in this top rated restaurant in Clark Philippines which is surprisingly child friendly also. Families frequently bring their children to enjoy a family dinner at the best restaurant in Angeles City Pampanga, a weekly treat for family bonding and some relaxation also. 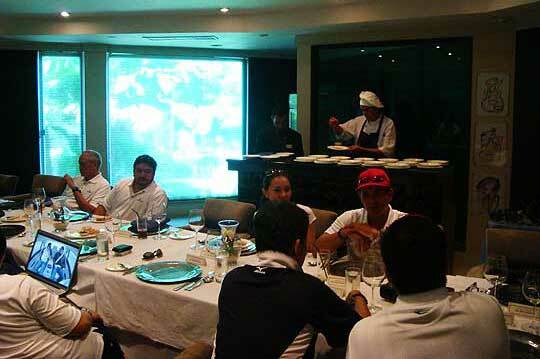 Tourists and business executives visit the best restaurant in Clark Pampanga after a game of golf or a long day at the office to relax and unwind, drink and eat with friends and business associates. Many frequent visitors to Pampanga remember Yats as the restaurant with nice ambience, a good place to eat in Pampanga as well as to drink and relax with friends after business or golf in Clark or Angeles City. Yats Restaurant is already well known to residents of Angeles City, Subic, Manila, Tarlac and Clark Philippines as a good place to eat in Pampanga. Recently, event organizers and corporate planning departments have discovered that this famous restaurant in Clark Pampanga is also a very good venue for group dinners and corporate functions, not to mention parties and celebrations for other special occasions outside of Manila in North Luzon. Booking a good restaurant in Clark Pampanga is an important step in ensuring the success of a private dinner, function, gathering and event near Manila. This year, many event planners and party organizers are eying Yats Restaurant in Clark for small parties for Christmas and New Year celebrations in Pampanga. Some companies in Manila have decided to go out of town to hold their annual parties in Pampanga. Clark is so accessible it makes a great deal of sense to choose this destination for functions and events. Best restaurant in Pampanga offers private rooms for group dinners and business meetings, making this fine dining restaurant in Angeles City Pampanga a good place for business dinners and social functions. Outside of Manila, facilities for group dinners, private meetings and social gatherings are limited even in high class restaurants in Pampanga. Hotels ballrooms and functions rooms lack the cozy ambience that private dinners require. One good restaurant in Pampanga offers upscale facilities for private dinners, the only good restaurant in Clark Philippines that offer high quality facilities like this. 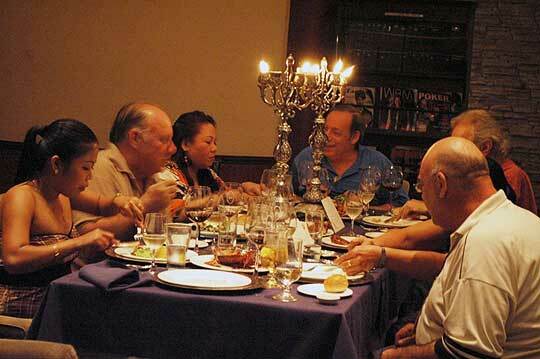 This exclusive restaurant in Clark Philippines is top rated for social and company gatherings. This high class restaurant in Angeles City Clark Pampanga hosts many group dinners, celebrations, birthday parties, anniversaries and other events near Manila. This is a good restaurant in Subic, Clark, Angeles City that is also widely recognized as the best place to eat in Pampanga. Manila residents, local residents of Clark and Subic as well as business executives of Angeles City frequently hold group dinners and social events in this fine dining restaurant near Manila. Special menus for functions and events are available from catering team of this fine dining restaurant near Manila. Most of the menus of this high class restaurant in Pampanga are surprisingly inexpensive despite being of high quality. Yats Restaurant is one of the popular venues near Manila for events and parties and a highly recommended place to dine out while visiting Angeles City, Subic and Clark Philippines. Tourists and residents of Manila travel out of town to the north on a short getaway look for the best place in Clark for rest and relaxation. Many find a top rated resto bar called Yats Restaurant to be very suitable for families with children. This restaurant is highly recommended for visitors going to Clark Pampanga to enjoy a good meal or just to drink wine, relax and unwind with friends and families. This fine dining restaurant is known by tourist and visitors to Pampanga, Angeles city, Subic and Clark Philippines as a cool place to hang out in Clark. The place has good atmosphere for a romantic dinner and it has spacious dining areas for group dinner and private rooms for exclusive gatherings, certainly one of the best venues for business or social gatherings in Clark field which is also known as Clark Freeport Zone and Clark field. Best restaurant in Clark Pampanga for private dinners and celebrations is Yats Restaurant, top rated resto bar frequently visited by food and wine lovers from Manila, Subic, Tarlac, Bulacan, Angeles City and Clark Philippines. Group dinners are often held in one of several dining areas in Yats which is generally regarded as the best restaurant in Pampanga for social and business functions. If privacy is a major concern, guests can book one of the private rooms for special dinners of small or large groups of up to 80 people. The alfresco garden often serves as a venue for pre-dinner cocktail receptions where guests can enjoy Champagne with hors d'oeuvres before sitting down to the dinner table to enjoy a sumptuous meal with fine wine at the best restaurant in Pampanga. The best place to hold group dinners in Clark Pampanga is Yats Restaurant and Wine Lounge. Located in the upscale and quiet location of Mimosa Leisure Estate that is famous for its Championship golf course and the Clark casino, this top rated restaurant is highly recommended for event organizers looking for a good restaurant to hold group dinners. Companies in Subic and Angeles City Pampanga frequently choose this restaurant in Clark for meetings, parties and functions. Residents of nearby Angeles City, San Fernando and other cities of Pampanga travel to Clark to hold their group dinners and social gatherings in this popular restaurant in Clark. Yats Restaurant is well known among residents of Manila to be a place to visit whenever they travel out of town on a getaway to the north towards Subic, Tarlac, Baguio or Pampanga. Very often, group dinners, family gatherings and social functions are held in this famous restaurant in Clark Philippines. Highly recommended fine dining restaurant in Manila for special occasion is Yats Restaurant & Wine Lounge located in the famous Mimosa Leisure Estate in Clark Pampanga. Situated near this popular restaurant in Clark is the Mimosa Golf Course as well as the Mimosa Clark Casino. This top rated restaurant near Angeles City Pampanga in Clark Philippines is frequently used for private parties and corporate functions such as board meetings and other gatherings. Its private rooms are frequently used for board meetings, private parties, company meetings and other functions and events. Business executives looking for a private place to hold meetings in Pampanga discover the best restaurant in Clark for social and business meeting is Yats Restaurant and Wine Bar. IMPRESSIVE RESTAURANT IN CLARK PAMPANGA offers privacy and a sense of exclusivity making this fine dining restaurant in Angeles City Pampanga one of the best restaurants in the Philippines. Food and wine lovers from Manila travel to the north on a short getaway for holiday, vacation or business frequently dine at this top rated restaurant in Angeles City Pampanga not only for the good food and excellent service but also to enjoy a few bottles of the best wines in the Philippines from the wine cellars of this best restaurant in Angeles City Pampanga. Although this fine dining restaurant is located in Clark Pampanga some 60km from Manila, food and wine lovers frequently make the journey to wine and dine in this top rated restaurant in Pampanga. Residents of Subic, Manila and Tarlac finds the journey to Clark Philippines worth the effort because it is always a special treat to wine and dine at the best restaurant in Angeles City Pampanga. Best restaurant in Angeles City Pampanga is Yats Restaurant and Wine Bar serving French Mediterranean cuisine and offers private dining rooms as well as facilities for group dinners and small parties. Unfortunately for most restaurants in Manila, local supply of lamb cannot comply with the quality standards of fine dining restaurants. 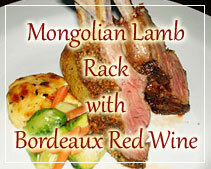 At Yats Restaurant and Wine Lounge, lamb racks, lamb chops, lamb shanks and the popular leg of lamb are all imported, often from Australia. Frequent visitors to Subic or Angeles City Pampanga seldom pass up the opportunity to wine and dine at this well known restaurant in Clark. Many guests order a bottle of vintage Claret, preferring vintages in the 80s and 90s. Some go for the more matured and elegant older vintages in the 60s and 70s, all these being available at reasonable prices in the wine cellars of Yats Restaurant in Clark Philippines. By popular demand, fine dining restaurant in Clark Pampanga offers catering services that enable clients to hold special dinners and wine parties at home or in their own offices in Pampanga. With the introduction of this special catering service by the best restaurant in Angeles City, Pampanga, residents of Subic, Tarlac, Angeles City, Pampanga, Clark Philippines can throw upscale parties at home and serve good food and fine vintage wine also. Generally considered as the best restaurant in Angeles City Pampanga, Yats Restaurant provides the kind of upscale ambience of a good venue for business meetings and social entertainment near Manila. Many small weddings have also been held in this top rated restaurant in Angeles City Pampanga also. The culinary team of Yats Restaurant and Wine Bar sets this fine dining restaurant apart from all the other resto bars, bistro and restaurants in Manila, Angeles City, Subic and Clark Pampanga. Under the direction of Scottish chef Michael Caffrey whose passion for down-to-earth high-quality cuisine drives everyone around him to reach for perfection, this top rated restaurant in Clark Philippines have won recognition among food and wine lovers from Manila as well as tourists staying in Angeles City, Subic and Clark Pampanga, as the best place to eat in Pampanga. Manila residents, companies and schools travel out of town to the north to hold Christmas parties, organize group dinners to celebrate New Year or enjoy the holidays at the end of this year in Pampanga. Many event organizers highly recommend Yats as the best restaurant in Clark Pampanga for celebrations and parties this holiday seasons. Special Christmas parties can be accommodated in this fine dining restaurant either indoor or alfresco in the garden of this famous restaurant in Pampanga. Although restaurants and bars in Angeles City Pampanga can also be considered for Christmas and New Year celebrations, visitors from Manila and tourists prefer to wine and dine in the best restaurant in Clark Pampanga where they can feel safe and secure. Although this fine dining restaurant in Pampanga is famous among Manila food lovers for serving the best steaks in the Philippines, Yats Restaurant and Wine Bat is also well known as the best place to eat seafood in Pampanga. Residents of Angeles City and San Fernando Pampanga travel into Clark Freeport to enjoy a seafood dinner in this highly recommended restaurant. Some food lovers enjoy the Atlantic Mackerel with a properly chilled bottle of Champagne. Other seafood lovers from Manila enjoy the meaty and more intensely flavored Barracuda pan seared to perfection accompanied by a nice bottle of Meursault or Chassagne-Montrachet. 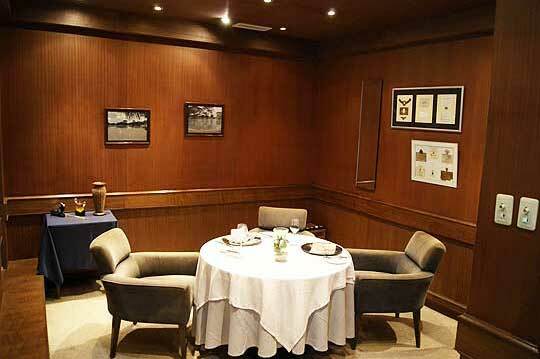 Special meals are prepared by the kitchen of this fine dining restaurant in Pampanga. Almost no requests are too challenging and absolutely no ideas are discarded without serious attempts to achieve results in this fine resto bar. Residents of Angeles City often come to Clark Airbase to wine and dine in this restaurant for a quiet dinner with family or friends or a group dinner for corporate or social functions in Pampanga. Best restaurant in Pampanga offers private rooms for group dinners and business meetings, making this fine dining restaurant in Angeles City Pampanga a good place for business dinners and social functions. Outside of Manila, facilities for group dinners, private meetings and social gatherings are limited even in the best restaurants in Pampanga. Hotels ballrooms and functions rooms lack the cozy ambience that private dinners require. 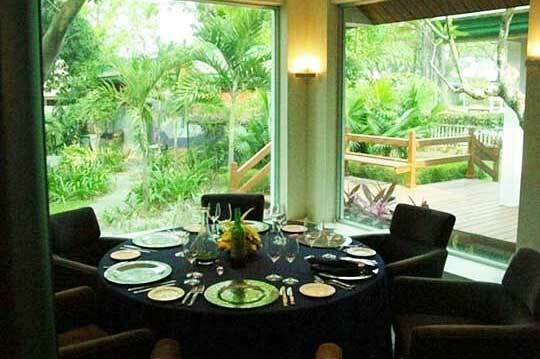 One good restaurant in Pampanga offers upscale facilities for private dinners. This exclusive restaurant is top rated for social and company gatherings, group dinners, celebrations, birthday parties, anniversaries and other events. This top rated restaurant in Subic, Clark, Angeles City is also widely recognized as the best place to eat in Pampanga. Manila residents, local residents of Clark and Subic as well as business executives of Angeles City frequently hold group dinners and social events in this fine dining restaurant near Manila. Special menus for functions and events are available from catering team of this fine dining restaurant near Manila and most of these menus are surprisingly inexpensive despite being of high quality. Yats Restaurant is one of the popular venues near Manila for events and parties. Michael Caffrey, new executive chef at Yats Restaurant and Wine bar in Angles City Clark Philippines, revamped menu, fine tuning classic dishes, adjusting prices to more attractive levels, making Yats the Best Restaurant in Clark Pampanga for everyone. This fine dining restaurant in Pampanga maintains very high standards with regards to its food and service. Tourists staying in Clark Philippines and visitors from Manila travelling to the north looking for a good place to eat in Angeles City Pampanga choose the highly recommended fine dining Yats Restaurant and Wine Bar. Good food and excellent service are cited as main reasons for the popularity of this famous restaurant in Pampanga. More and more, Yats restaurant is recognized for its fantastic restaurant wine list which won an international award from the famous wine magazine called Wine Spectator for one of the best 800 restaurant wine lists in the world in 2011. Residents of Manila visiting Angeles City, Subic and Clark Philippines discover the best place to eat in Pampanga, excited that this top rated fine dining restaurant in Angeles City is children friendly, a resto bar that kids enjoy. In sharp contrast to Angeles City Philippines, Pampanga Clark Freeport is well known for its safety and security, registering the lowest crime rates in the Philippines. The absence of traffic and pollution also helps to position Clark Pampanga at the top of tourists’ list of destinations for vacation and get-away from Manila with families and friends. Inside Clark Freeport, tourists and visitors from Manila can find many world-class entertainment, leisure and hospitality establishments, the best fine dining restaurants, upscale bars and pubs that are frequently by local residents, expats, tourist and visiting business executives looking for a good resto bar to hangout in Pampanga. In addition to playing a round of golf in one of several championship golf courses in Clark, tourists and visitors from Manila unwind and relax in the evening to wine and dine at the best restaurant in Angeles City Pampanga called Yats Restaurant and Wine Lounge. Located inside Mimosa Leisure Estate, Yats Restaurant is well known as the best restaurant in Clark Pampanga, a fine dining restaurant that families can also bring their kids and children to enjoy a special dinner. Food and wine lovers often travel from Manila to enjoy a good dinner at this restaurant in Pampanga because of its award winning wine list. More and more visitors arrive in Angeles City and Clark Pampanga as tourism starts to focus on North Luzon. Tourists and visitors from Manila and Cebu discover a good place to eat in Clark Pampanga, a top rated restaurant that serves good food and fine wine, called Yats Restaurant and Wine Bar situated inside Mimosa of Clark Philippines. More and more guests from Manila travel out of town north to Clark Pampanga to wine and dine in famous fine dining Yats Restaurant & Wine Bar while enjoying fine vintage wines from the cellars of the restaurant. More and more foodies, critics, connoisseurs, frequent diners and wine lovers from Manila travel out of town north to Clark Pampanga to wine and dine in famous fine dining Yats Restaurant & Wine Bar. 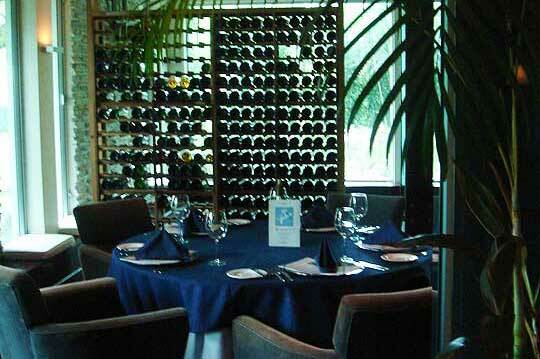 Most visitors enjoy the fine vintage wines from the cellars of this fine dining restaurant. Some purchase a few to bring back home to Manila. Among the fine dining restaurants in Pampanga, Yats Restaurant is well known as the restaurant that offers the best selection of fine vintage wines. Furthermore, this famous fine dining restaurant in Pampanga offers the kind of cuisine that enables food and wine lovers to fully appreciate the fine vintage wines they order to compliment their food for the special dinner. A lot of special events, corporate entertainment, social affairs as well as small private gatherings take place in this special restaurant in Clark. This is one of the few restaurants near Manila where guest can enjoy privacy and excellent service along with the good food and fine wine offered by this highly recommended restaurant in Pampanga. Residents of Angeles City come to Clark when they look for a good place to eat or a restaurant to entertain friends and business associates. The wine list in this fine dining restaurant in Clark is not well balanced and does not favor either red or white wines. It is one of the few restaurant wine lists in the Philippines that offer patrons and regular diners a large selection of fine white wines from Burgundy, Bordeaux and other regions of the world. These white wines pair beautifully with the seafood menu of this restaurant. Yats is well known as the best restaurant to eat seafood in Pampanga. To the delight of wine lovers, especially those who have a penchant for red wind of Bordeaux, fine dining Yats Restaurant is bringing back to its French Mediterranean menu, classic lamb dishes. Generally regarded as the best restaurant in Manila, Subic, Angeles City and Clark Pampanga Philippines, wine lovers laud their wine cellars for its splendid collection of Bordeaux and Burgundy red and white wines. The depth of vintages that spans over 50 years accommodates myriad palates and personal preferences of individual food and wine lovers. Depending on how a guest prefer to have the lamb done and the choice of the accompanying sauce and side dishes, the choice of wine can vary to achieve a high degree of synergy between food and wine. Many have discovered that this fine dining restaurant in Pampanga is a nice place to hang out in Pampanga. Residents of Angeles City and Subic travel frequently to Clark to hang out in the wine lounge of this restaurant in Clark Pampanga. Best restaurant in Clark Pampanga attracts diners and wine lovers from Manila, Subic and Angeles City Philippines to wine and dine at this fine dining restaurant. This top rated restaurant in Clark Pampanga is frequently visited by travelers from Manila, Subic, Baguio and neighboring provinces like Bulacan and other cities in Pampanga. Where to go in Pampanga, tourist guide names Yats Restaurant as best restaurant in Pampanga, highly recommend visitors to visit this top rated resto bar in Pampanga Clark Philippines whenever travelling out of town from Manila to Angeles City or Subic. This is one of the most frequently restaurants in Pampanga, particularly favored by wine lovers from Manila and Subic looking for a good bottle of vintage wine at affordable prices. Here in this top rated restaurant in Pampanga, the cuisine is not heavy and guests feel relaxed and properly taken care of so they can enjoy dinner with class. Many ask to visit the famous wine cellars of this restaurant in Pampanga, some taking pictures with the most expensive wines in the Philippines. Best restaurant in Clark Philippines offers award winning restaurant wine list, top rated fine dining resto bar outside Manila, one in 650 restaurants in the world to win the Wine Spectator's Best of Awards of Excellence for its fabulous restaurant wine list, the only restaurant in the Philippines to be given this award. Standards for selecting best restaurants outside Manila in Pampanga Angeles City have risen. In addition to food, value for money, ambience and service quality, the quality of restaurant wine list has been added to evaluation criteria. Topping the list is fine dining Yats Restaurant & Wine Bar well known for its award 2700-line winning wine list, French Mediterranean cuisine and wine cellars. Wine lovers all over Asia spend an evening in fine dining Yats Restaurant and Wine Lounge when visiting Clark Philippines for golf, gambling, relaxation or business. 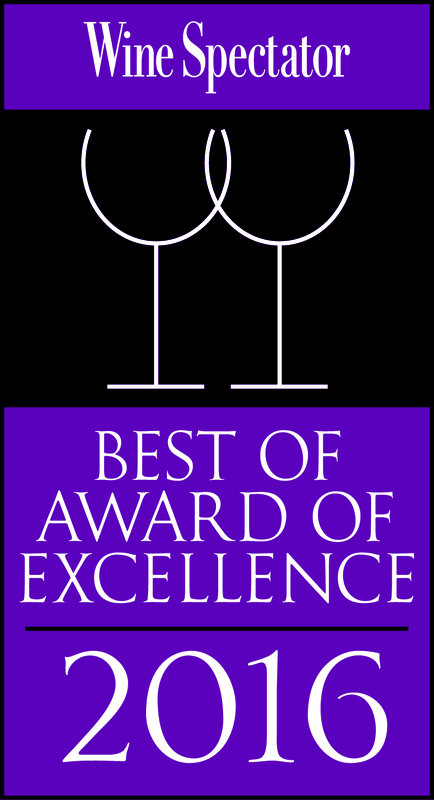 Wine Spectator gave this dining establishment its best of excellence of awards for its 2700-line wine list. As the number of wine enthusiasts grows in the Philippines, fine dining restaurants in Manila and Pampanga have to upgrade their wine lists to keep their customers satisfied. Far too often, restaurants in Philippines fail to offer an exciting wine list to their guests. This causes food and wine lovers to search for other good places to eat in Pampanga or Manila. There really is no excuse for a good restaurant in Manila or Pampanga to offer a mediocre wine list. Wine is an integral part of a dining experience in any good restaurant in Pampanga or Manila. A poor wine list disappoints many customers forcing them to go elsewhere to find a good place to eat in Pampanga. To get the best taste from the caffeine beans, the water should be the perfect temp. Cooking drinking water is too very hot and thus will sap the more sour fats through your beans. Alternately, water that may be not hot adequate is not going to produce every one of the flavoring from the legumes so you have a very mundane gourmet coffee. For fulfillment in article marketing, a sleek procedure for producing is advisable. Make your items comparatively simple. Men and women do not have a chance to study web pages of content material. So, be quick but continue to-position. Focus on the exact information and facts you want to express and don't get sidetracked. You will make a history of well-defined, very clear job that readers will take pleasure in. A great hint to the university student who hates getting out of bed in the morning would be to steer clear of organizing very early courses. You will need to comprehend your routines instead of place yourself in the position to fail. Once you know you will sleeping however a 7a.m. school, stay away from consuming it from the beginning. An excellent suggestion for search engine optimization is to produce a video clip sitemap for the web site. A relevant video sitemap will considerably assist you in appealing to website crawlers to you personally. You should checklist the video sitemap in your Yahoo Web master Core profile as a way to possess the finest chance of achievement. You must phone your insurance carrier if you get a DUI. There are many suggests that need car owners who have obtained driving under the influence to obtain a particular form of insurance policy coverage to be capable to push on the highway. This insurance is often more costly and needed for an extended period of time. Your insurance agent should certainly present you with all the information you want. If you are in the beginning stages together with your credit score, it will likely be tough to find a way to get credit score. One choice that is certainly generally readily available, is to buy a low harmony visa or mastercard coming from a shop on your nearby shopping center. The large shops probably will not give you a cards, nevertheless the small stores, including Old Navy, Rue 21, and Footlocker likely will. Search for several plan discount rates in your house owner's insurance plan. There are several insurance carriers that provide a ten percent or maybe more discount to consumers who have other insurance plans below 1 roof structure. Think of receiving a quote for other insurance types through the exact same firm that you simply acquired your homeowners' plan. You could reduce two twelve-monthly costs. A good hint to clean your coffee maker is usually to operate vinegar by way of it. This assists as being the vinegar gets rid of remains and any nasty odors which might be found in your coffee machine. To get this done, basically dump the vinegar in while you would the liquid and allow it to brew. Those that really like you will not consider the beauty of every day depending on charge. If trying to keep to your small spending budget tends to make every day just like particular to you personally as investing a fortune would, then so whether it is. Don't devote yourself right into a golf hole only to impress any person. Your loved ones care far more that you are happy and make best use of the day. Employ someone to mow your garden for you if you have allergy symptoms. Trimming delivers plant pollen and other contaminants soaring mainly because it plows via your garden, so when you advance, you move right into these irritants. If expense is an issue, a specialist Lawn Business may not be needed. Just requesting all around will normally yield a eager community youngster that will appreciate the chance to gain some investing cash. In the event you must mow your garden, yourself, dress in a filtering face cover up. Think of problems that come up as options as opposed to difficulties. Much too typically men and women target the unfavorable and sense that they have each one of these troubles they need to repair. The planet is really not too sophisticated. Most conditions that you understand in your daily life are in fact easily fixable. Spend some time focusing on areas in your life that make a difference instead of stressing about minor issues to beat. Rinse your outfits in chilly drinking water. Clothing come just as clear if you use chilly normal water as an alternative to very hot water, and generating the change can help to save a great deal of energy. A lot of the electricity utilized to clean garments is definitely the energy water heating unit uses to temperature water. In order to develop into a better person, do not hesitate to solicit sincere opinions from other folks. Sometimes, you cannot see your personal weaknesses simply because there is no need an unbiased take a look at yourself. Genuine comments from other people might be constructive and will help you identify regions that you need to enhance. Your property is your castle, but maybe you have deemed exactly what is powering it? Natural power is a superb option that one could implement in the home, to be able to clean up the environment and minimize your debts. Continue reading for many easy techniques you could start using at the moment.